The opening of our CNE signals the upcoming end of summer. In a couple weeks we will have fewer outdoor festivals. 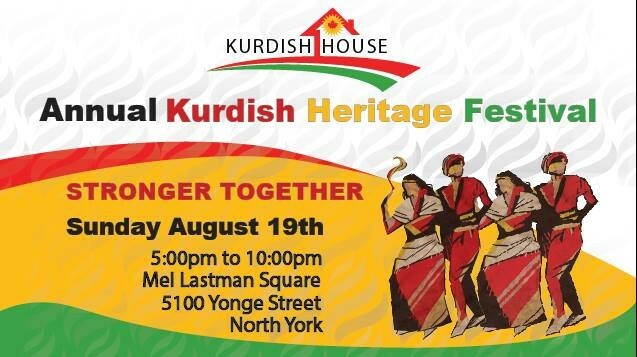 Among these mid-August events here are those from South Asia, China, the Kurdish Community, Vietnam, India, Philippines, Ukraine, Jamaica, and Italy. Harbourfront’s offerings will include music inspired by Mali, Morocco and Cuba. 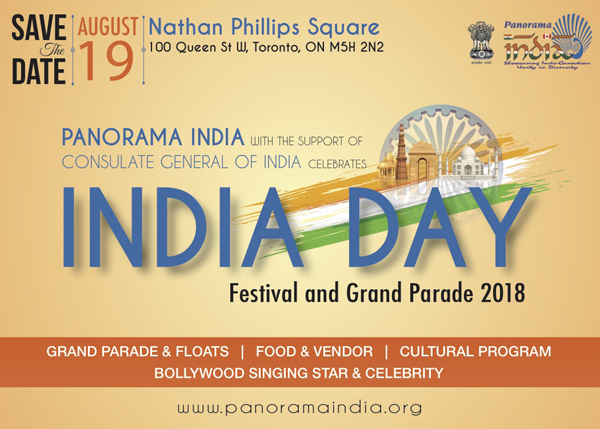 Among indoor events are a special exhibit of jewellery from the 16th and 17th Mughal emperors, and an exhibition by controversial and brilliant First Nations artist Kent Monkman. Our Muslims will be celebrating a major festival with roots in the Old Testament, an event all children can enjoy. Among the CNE’s international performers will be those from Ukraine, Slovakia, Mexico, the Caribbean, Spain. China and South Africa. Special will be a giant Chinese lantern exhibit. Our local First Nations will have a speakers’ and cultural booth and the National Ethnic Press will have its usual display of newspapers in our many different languages. 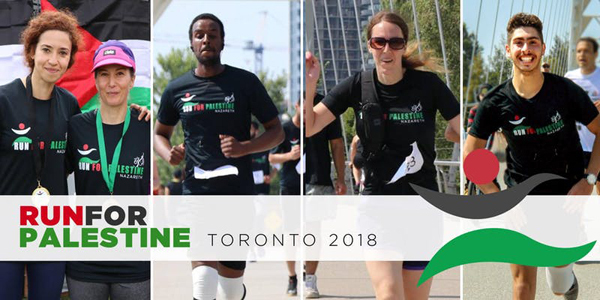 There’s also a run to benefit “Gazan children suffering from mental health disorders.” The Jesuits will be raising funds for medical education in the Philippines. Here’s our survey of some of the many opportunities to experience the world in our very diverse city for free or almost free. First Nations: Cree. Kent Monkman: Miss Chief’s Praying Hands. Now until September 1. Tuesday-Saturday. 11am-6pm. Free. Project Gallery, 1210 Dundas Street East. 416-315-1192. Email: devan@projectgallery.ca. 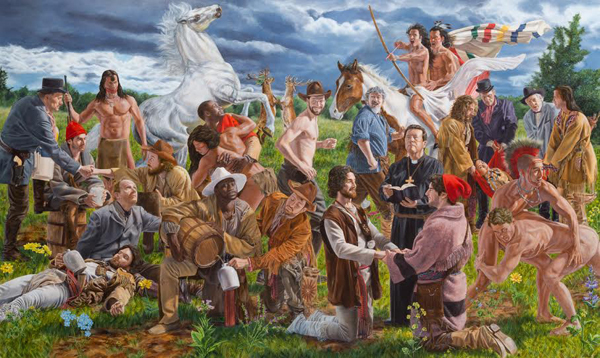 A must-see exhibition of works by Canada’s brilliant and very controversial painter. Wedding at Sodom courtesy of Project Gallery. India. Kuwait. Emperors & Jewels: Treasures of the Indian Courts from The al-Sabah Collection, Kuwait. August 18, 2018 – January 27, 2019. $10-$20. Hours: https://www.agakhanmuseum.org/visit/tickets-hours.html. Aga Khan Museum, 77 Wynford Drive. Princely jeweled adornments of the 16th and 17th centuries from the Mughal emperors, exclusively on display at the Aga Khan Museum. Image of Ring. 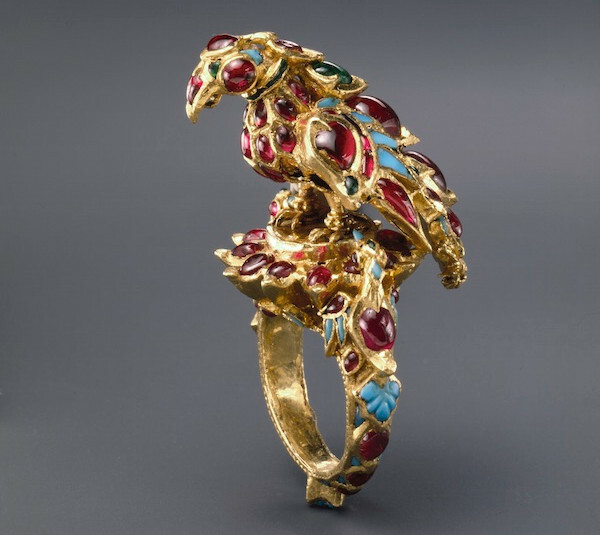 India, 17th century Gold, set with rubies, emeralds, and turquoise. Image copyright © The al-Sabah Collection, Dar al-Athar al-Islamiyyah, Kuwait. As in previous years, the CNE has several international exhibits or performances. 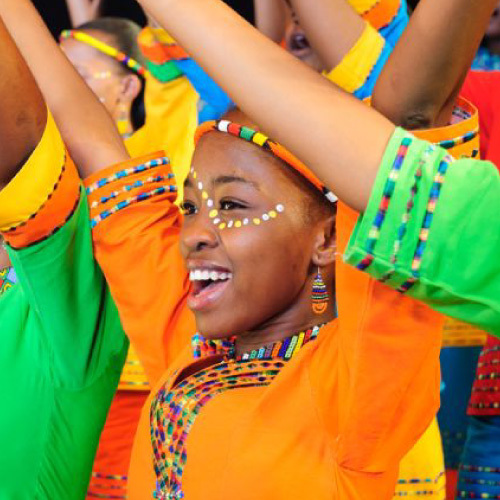 Image of South Africa performer from Canadian National Exhibition website. Multicultural. Small World Music Festival. August 17. Mali. Morocco. August 18. Italy. Cuba. France. August 19. Afro-Mexican/USA. Free. Harbourfront Centre, 235 Queens Quay West. 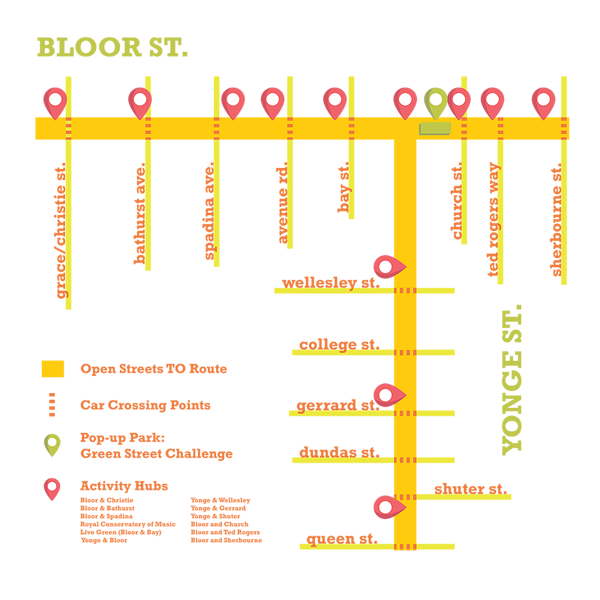 For schedule, click on date at: http://www.harbourfrontcentre.com/whatson/today.cfm?discipline_id=&mode=day&&month=08&year=2018&day=17&week=33&searchvenue=. Muslims who can afford it should sacrifice a goat, sheep or cow. Heads of households should slit the animal’s throat with a knife, at the jugular, to minimize its suffering. They can also just touch the knife before someone else kills the animal on their behalf. That act connects them to the ritual and makes them aware of where their food really comes from. Eid al-Adha is a time for thanksgiving, compassion and forgiveness, and the exchange of gifts. Every Muslim home is required to share the meat with relatives and the poor. The sharing can be monetary like a donation to the Toronto Food Bank, the Muslim Women’s Shelter, and the Edhi Foundation. Here are some of the many places where Muslims celebrate this important festival with prayers and bazaars, Bouncy Castles, clowns, face painting, balloons, food, and ice cream. Non-Muslims can take part in these events too. Grand Eid Bazaar 2018. Saturday, August 18. 12pm-12am. Free entry. The International Centre, 6900 Airport Road, Mississauga. 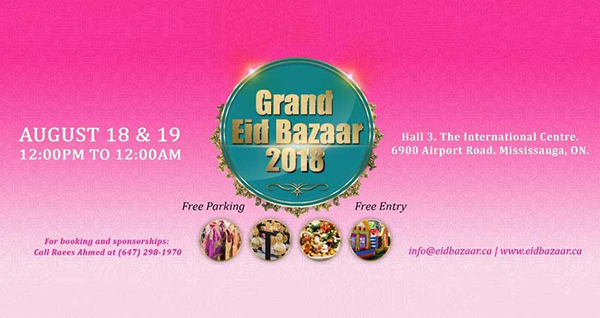 https://muslimlink.ca/events/toronto/event/7731-grand-eid-bazaar-mississauga-international-centre . AC Eid El-Adha Festival at the ICCO – Mississauga. Tuesday, August 21. 10am-5pm. Free entry. Islamic Community Centre of Ontario, 2550 Dunwin Drive, Mississauga. “Come Celebrate & Enjoy Bouncy Castles, Clowns, face painting, Balloons Food, Ice Cream & Candies. First Prayer at 7:15am.” https://muslimlink.ca/events/toronto/event/7975-eid-mississauga-mac-festival-eid-el-adha; https://www.facebook.com/events/296220457613542/. ** Please note that the Festival will be on the first day of Eid whatever the date is. Eid Al-Adha Prayer & Festival. August 21. Free admission. Woodbine Park, 1695 Queen Street East. https://maceidfest.com/toronto/. CANCELLED DUE TO BAD WEATHER. Philippines. Open Doors on Mindanao. August 19. Lady of Lourdes, 520 Sherbourne Street. 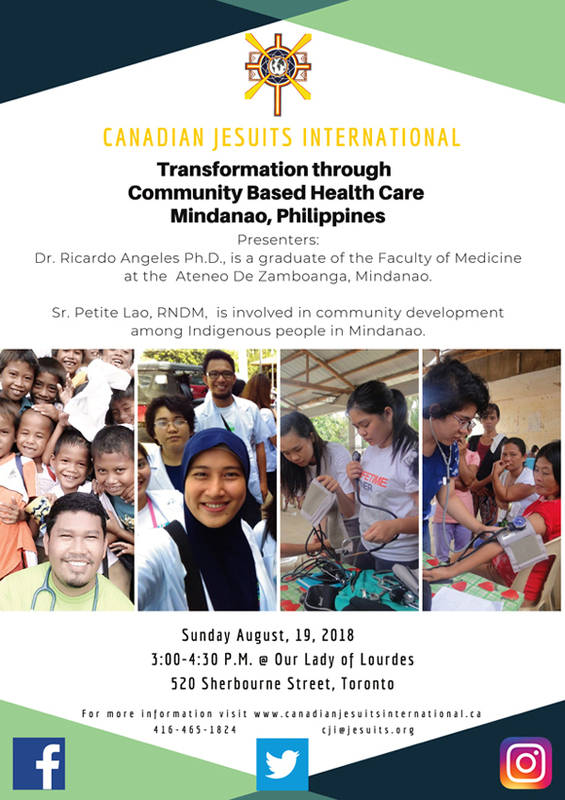 Canadian Jesuits International supports a scholarship fund and immersion program for promising young men and women during their four years of medical training at the Ateneo de Zamboanga University – School of Medicine (ADZU-SOM) in the Philippines. The primary purpose of this Jesuit school is to train physicians to provide urgently needed community-based healthcare. Speakers: Dr Angeles PhD is a graduate of ADZU-SOM and Sr Lao, RNDM, is involved in community development among indigenous people in Mindanao. RSVP to 416-465-1824 or cji@jesuits.ca. Ukraine. 27th Annual Celebration of Ukrainian Independence Day. North America’s largest. Saturday, August 18. Free. Centennial Park, Mississauga. 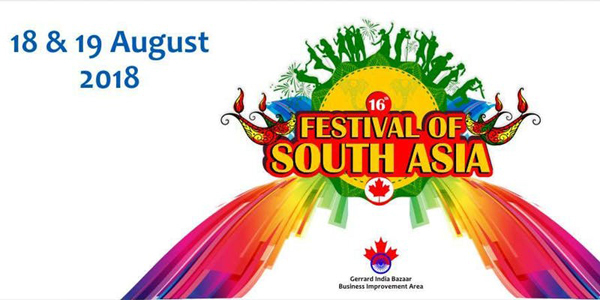 https://culture.mississauga.ca/event/celebration-square/mississauga-ukrainian-festival.